Determining the value of gems is a combination of cut, caret, color and clarity. In comparing emeralds versus rubies, the two precious stones both have examples of rare gems, typically of a large size and distinct color that are sought after. Both gems in our culture today are used to signify luxury, like in Roberto Coin's jewelry that uses a small ruby as a signature in each of his pieces. Emeralds have a very rich history. Cleopatra was known for wearing them while she lived in Egypt. The emperor, Nero, was said to have looked through an emerald to soothe his eyes while watching the games at the colosseum. They are said to possess powers to help provide clarity, drive away evil spirits and give foresight into the future. 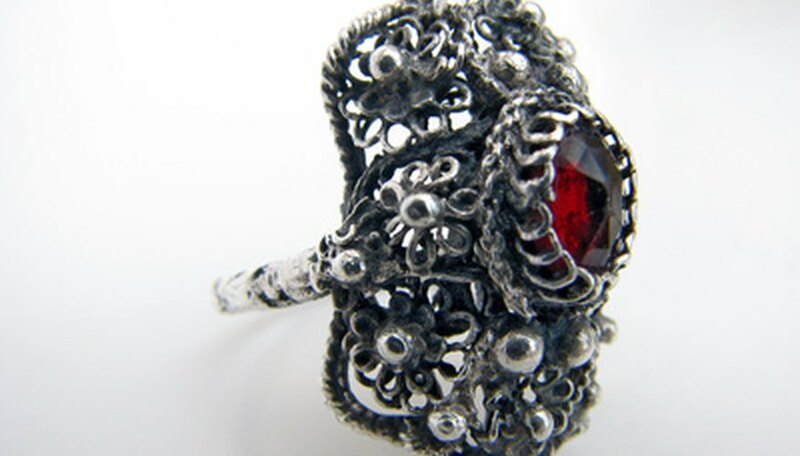 Rubies have more of a mysterious past, as they could often be mistaken for other red gemstones. An example of this is the Black Prince's Ruby of the British crown jewels, which is not a ruby but a spinel. Emeralds are known for their rich green color. It gets this color from chromium oxide in its chemistry. Many of the natural gemstones have inclusions that identify them. This doesn't necessarily decrease the value, as it is the brilliance in color that is more definitive. Rubies are part of the corundum family and are identified by their rich, red color. They get their color from small amounts of chromium. Other gems within that family are designated as sapphires. They are the second hardest natural mineral, with diamonds being the first. The gemstones are found in specific areas of the world. Rubies can be found in Thailand, Cambodia, Sri Lanka and North Carolina. Some of the rarest stones are mined from Burma. The coloring of the ruby is related to the mineral content traces from the location of the geologic formation where the stone is found. Emeralds today are mined from regions in Zambia, Zimbabwe and Columbia. The best stones come from the calcite veined limestone in Columbia. Emeralds are said to be more valuable than rubies, even though rubies are highly prized. While both stones can be found in acceptable quantities of smaller gems, the larger, more brilliant emeralds yield a higher value by percentage when compared to their lesser, smaller stones. The rarest of the emeralds is "gota de aceite," or "oil drop," found in Columbia. When comparing the value of rubies versus emeralds, you should take into consideration their chemical properties, or where the stone was mined from, as well as their color. This can dramatically define what it is worth, even if it is not a gem of considerable size. Rubies of a fire red are most desired, whereas emeralds of a medium green (not too light, not too dark) are wanted. Elizabeth Abbey is a freelance writer from Portland, OR. She has been writing since 2008 focusing on architecture, design and culture. Receiving her college degree in architecture, Abbey has contributed to the "Architect's Newspaper West Edition" and other art/architecture publications.